2013 NSW Super Senior Pennant winners – The Lakes GC. 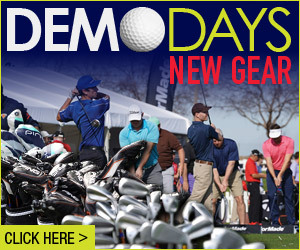 Left to right: Bart Doff, Roy Vandersluis, Bruce Johnson, Bernie Moase, Jeff Coxon, Vince Clark, Murray Westwood, Geoff Everett. The Lakes Golf Club has won the 2013 NSW Super Senior Pennant. In an exciting final they defeated the Newcastle Golf Club team by 5 matches to 2. As is always the case in match play finals it is important to win the early games and The Lakes did that winning three of the first four with two of those victories decided on the final hole. The Lakes were the defending champions and once again fielded a very strong team. Their top two players, Roy Vandersluis and Vince Clark, had represented Australia in the 2012 Trans-Tasman match against New Zealand and they proved too strong for their Newcastle opponents Owen Beldham and Darrel Morris. In winning the title The Lakes now holds the outright record for the most Super Senior Pennant wins with a total of four pennants. Newcastle GC and Belmont GC are next with three wins each. 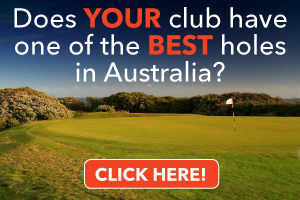 Established for golfers over the age of 65 the NSW Super Seniors Pennant competition began in 2002. With continued growth every year the 2013 competition now include 52 clubs competing in 9 divisions. The 2014 competition is scheduled to start in the second half of February with the finals to be played in early May. 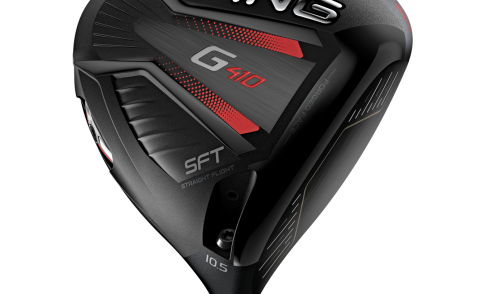 New clubs are always welcome. More information is available on the Super Senior Pennant website: superseniorpennant.com. 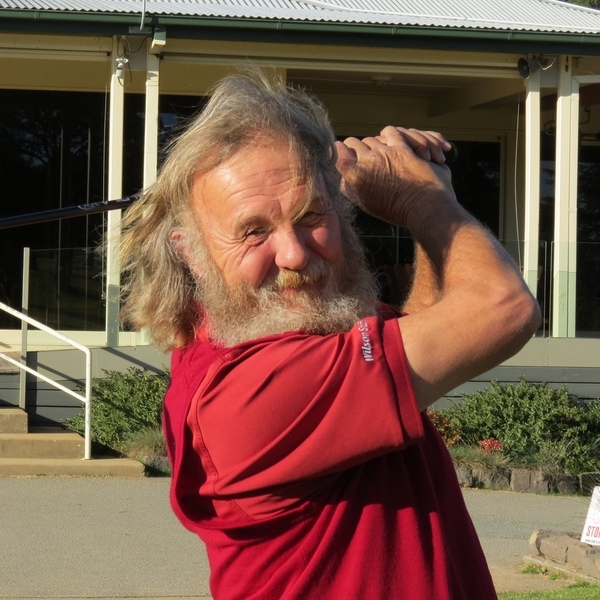 Freddy Barton, whose long hair has earned him the nickname of the “Paddle Pop Lion”, was justifiably very proud and excited in claiming his first ever senior title with victory in the 2013 Shepparton Senior Amateur Tournament. Barton (Eastwood GC) followed his opening round of 78 with a closing 75 and his total of 153 was just enough to hold off Alan Bullas (Commonwealth) and John Keller (Hill Top) by a single stroke. Lynton Spencer from Rossdale Golf Club was the winner of the 18-hole 2013 Heathcote Senior Amateur with a fine score of 76 on the Par 71 layout. In perfect golfing conditions and on a magnificently presented course Spencer played excellent golf in also recording his first win in a Golf Victoria event. Guy Krall (Yarra Yarra) was the popular winner of the 2013 Tocumwal Senior Amateur. After opening with 74 Krall played well in round two for a score of 78 and a winning total of 152. In a tight finish Krall held his nerve over the closing holes to claim the title by one shot from Goonawarra member Pat Giles (76-77=153). Overnight leaders Freddy Barton and Alan Buckley could not maintain the form that saw them open with rounds of 73. In the year-long competition for the Doug Bachli Trophy Chirnside Park senior Ray Walker has gained on leader Michael Jackson (Yarra Yarra) and is now close enough to challenge for the top position. Recent good form has seen Guy Krall (Yarra Yarra) move into third place. Consistently good golf has seen Freddy Barton take the lead in the handicap section. He leads from Eddie Kloprogge (Eastwood) and Ignatius Duivenvoorden (Yarram). 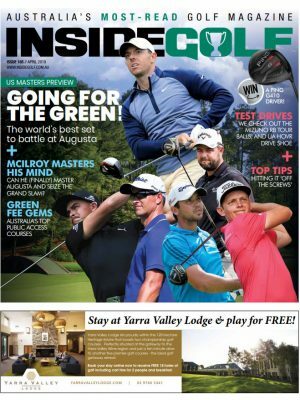 Attention now moves to August’s much anticipated “Sandbelt Week” with senior events held at the Yarra Yarra, Kingston Heath, Victoria, Royal Melbourne and Metropolitan golf clubs all in one week of sensational golf. Further information and full points tables for both the Doug Bachli Senior Order of Merit and the Golf Victoria Senior Handicap Trophy are available on the Golf Victoria website www.golfvic.org.au . The 2013 NSW Senior Order of Merit competition has 43 events scheduled with the majority held in and around Sydney. However, in an ongoing effort to expand across the state, this year has seen 19 events scheduled for non-metropolitan courses. The 2013 Oatlands Seniors produced a thrilling three way play-off between three of the state’s best senior golfers. After rounds of 75 on the tough par 70 Oatlands course Denis Day (Penrith), Ross Bockman (Long Reef) and Greg Stanford (Mona Vale) were involved in the play-off. After a hooked drive off the first hole onto the adjoining seventeenth fairway Day produced the shot of the day hitting high over tall trees to join Stanford and Bockman on the green. Day then proceeded to hole the putt for his birdie and the title. The 2013 Pymble Seniors again tested a good field with a challenging setup featuring fast and true greens. Victory went to Bayview senior Dale Tapper with a good round of five over par 77. In recording his breakthrough win Tapper defeated the always consistent Greg Stanford (Mona Vale) on a count back. Bexley senior Tom Yates won the Over 65 category. Long Reef’s Ross Bockman continues to hold a commanding lead in the year-long Senior Order of Merit competition. With a total of 1885 points he leads by almost 400 points from a large group all fighting it out for second and third place. Currently Vince Clark (The Lakes) holds down second place ahead of Denis Dale (Twin Creeks). Clark also leads Dale in the Over 65 competition. 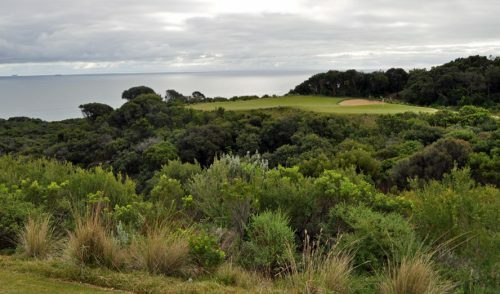 Details on all events and the full Order of Merit tables are available on the Golf NSW website www.golfnsw.org. 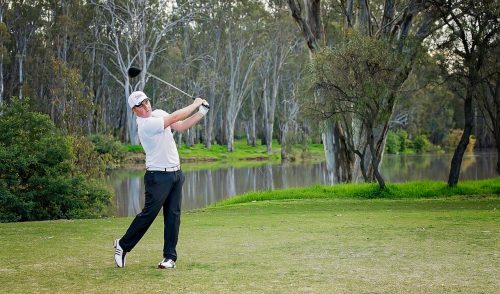 Golf Queensland commenced their inaugural Senior Order of Merit competition this year with an extensive program of events that covers much of this very large state. 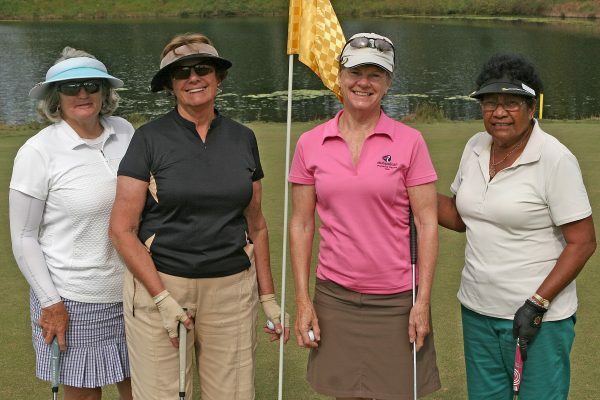 Although all mainland states now have a similar competition for male senior golfers it is only Queensland that has an official Order of Merit for senior women. North Lakes’ golfer Wendy O’Connell was certainly the dominant player at the beginning of the season. O’Connell won the first five events of the year and later recorded another win to make her tally six wins from six starts for a total of 1000 points. However, despite this impressive record, O’Connell no longer leads the competition. Josie Ryan from the Headland Golf Club has played in eight events and recently struck a purple patch of form recording three wins and two seconds from her last five starts. She has now passed O’Connell and leads the Order of Merit by 120 points. Third place is taken by Roberta Henry from Nudgee Golf Club with Rosie Glasson (Twin Water) and Jean White (Nudgee) making up the top five. 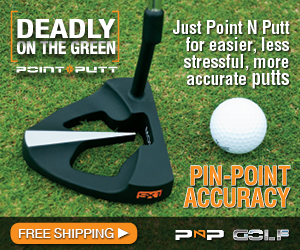 In the men’s section it is another Headland Golf Club member who is the clear leader. Brian Kesby has played in 13 of the 17 events and with five wins he has amassed 1170 points to open a good lead over Windaroo Lakes senior Trevor Box. Yet another Headland member, Ken Anderson, is in third place just a few points behind Box. Full results and details on all future events plus the full Order of Merit tables are available on the Golf Queensland website www.golfqueensland.org.au .